FAME’s Cash and Max characters introduce elementary students to three key concepts: career exploration, education after high school and money management. “Talk About the Future” tips can give parents some ideas for starting conversations about careers and the education needed to get there. By playing FAME’s Claim Your Future® game students explore education after high school, future careers and money management. 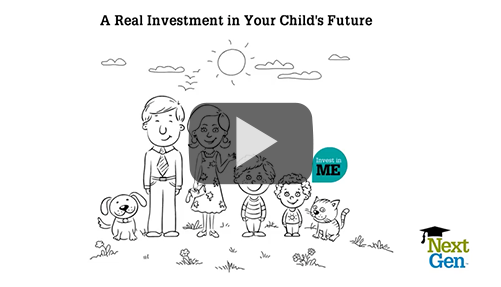 FAME’s “Talk About the Future” tips can give parents some ideas for starting conversations about careers and the education needed to get there. FAME holds Financial Aid presentations at most high schools across Maine in the spring for Juniors in high school. Find one on FAME’s website. 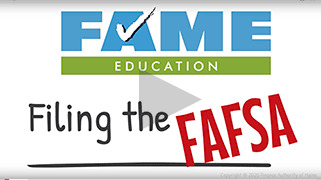 FAME holds free In-Person FAFSA Help Sessions across the state in October & November. 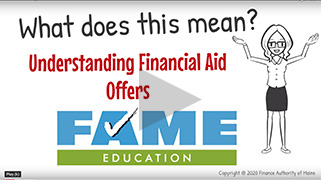 FAME shares financial aid, scholarship and FAFSA-related tips on social media, Youtube and via email. Encourage your clients to join FAME’s mailing list to receive timely tips. 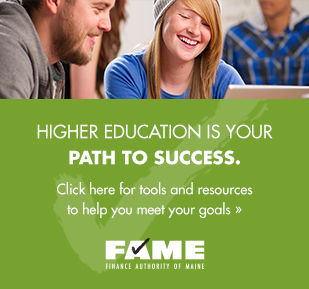 Encourage your clients to look for scholarships using FAME’s online search tool for Maine-based scholarships. FAME’s website TheLoanforME.com is a trusted resource where students can be more informed borrowers and access a network of Maine lenders to apply for a private student loan or to consolidate existing debt.